The Freedom From Religion Foundation has ended a New Mexico school’s unconstitutional public endorsement of Christianity. 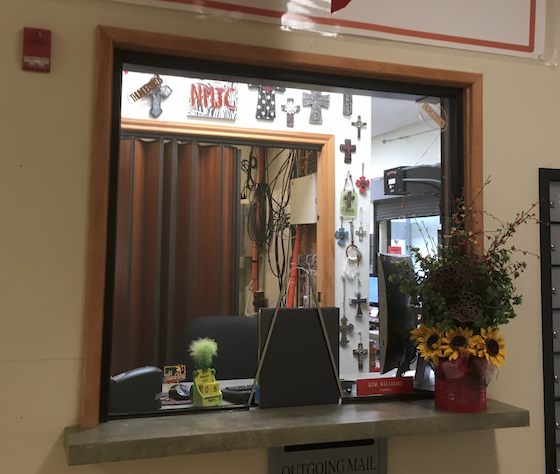 It was brought to FFRF’s attention that New Mexico Junior College in Hobbs was displaying numerous crosses in public spaces, including the main reception area of the school’s student center and in several offices. The crosses were easily visible to anyone visiting or passing by the offices as evidenced by pictures taken of the violation. FFRF sent a letter to college President Kelvin Sharp to object to the unconstitutional promotion of Christianity and ask that the display of Latin crosses be removed. The religious significance of the Latin cross is unambiguous and indisputable, as it is the primary symbol of Christianity around the world. Sharp recently responded, informing FFRF that the violations had been addressed, and it was further reported to FFRF that the crosses have come down. FFRF is pleased that corrective action has been taken. The Freedom From Religion Foundation is a national nonprofit organization with 30,000 members and 20 chapters across the country, including hundreds of members and a local chapter in New Mexico. Our purposes are to protect the constitutional principle of separation between state and church, and to educate the public on matters relating to nontheism.